Why firms need to end their reliance on LIBOR by end-2021. Why overnight risk-free rates (RFRs) are the right foundation for interest rate markets. The progress made on transition to these overnight risk-free rates and the work that remains to be done. When I spoke about LIBOR in July last year, I made clear the need to transition away from LIBOR before end-2021. The importance of doing so has not changed. Today, one year closer to that end-2021 date, I would like to talk about what the world of interest rate benchmarks after LIBOR will look like. The Financial Stability Board, drawing on work done by its Official Sector Steering Group (OSSG), which I have the honour of co-chairing with Jay Powell of the Federal Reserve, has today published a statement on the future roles for overnight RFRs and term rates. I will set out some of the progress made on the transition to that future world. I will cover what has been achieved in the year that has passed, and what remains to be done. I hope it is already clear that the discontinuation of LIBOR should not be considered a remote probability 'black swan' event. Firms should treat it is as something that will happen and which they must be prepared for. Ensuring that the transition from LIBOR to alternative interest rate benchmarks is orderly will contribute to financial stability. Misplaced confidence in LIBOR’s survival will do the opposite, by discouraging transition. There is some good news to report on the important steps taken towards transition. But the pace of that transition is not yet fast enough. There is much further to go. One might consider that the likelihood that this rate will stop would be incentive enough, but I want to begin by setting out the case, indeed the need, to move away from LIBOR. LIBOR, or the London Interbank Offered Rate to give its previous full name, is intended to measure the rate at which banks could borrow funds in the wholesale markets. It was the rate structure for the eurocurrency markets when such things existed as distinct parts of the overall system. There are a number of reasons why LIBOR has become a problem. First, financial markets have changed, and LIBOR has not been able to keep up with that change. The international interbank market has dwindled substantially. There are several reasons for this. In the shorter-term – post the financial crisis – bank funding has switched away from this interbank market. Second, the longer-term reason is that the eurocurrency markets no longer exist as a distinct entity. There is a very important point here. The so-called euromarkets lived in an era where it was assumed that they were separate from domestic financial markets. The latter were where domestic monetary policy was set, central banks operated, and were the home of government bond markets. So, naturally, risk-free rates which are rooted in the credit standing and policy institutions of the domestic state, were a feature of domestic financial markets and not the euromarkets. LIBOR was not a risk-free rate, rather, it became a proxy for risk-free rates plus a measure of bank risk. From that, concepts like the TED spread, the US Treasury to Eurodollar spread, emerged as proxies of banking system risk. A problem which resulted – and it is striking with the benefit of hindsight to think how long and to what an extent this has gone on – is that LIBOR came to be used to price much of the interest rate derivatives market, even as that derivatives market expanded far beyond hedges for the euromarkets. Logically a risk-free rate should have been used. I say this because an important reason for reform is to correct this situation. The third and fourth reasons that LIBOR has become a problem are powerful but shorter to describe. The third is that since banks do not lend to each other much these days on an unsecured basis, and the market is not returning, LIBOR is measuring the rate at which banks are not borrowing from one another. To do this, the system relies on the so-called expert judgement of the panel banks. It is esoteric to say the least to ask and answer the question, were I to borrow, which I am not doing, what might the interest rate be? But, more fundamentally, what is such a rate representative of? And that is critical because to continue in the now regulated world of benchmarks, LIBOR has to be representative. I struggle to see the case for this judgement. The fourth problem is that since the system for quoting rates and thus constructing LIBOR is fragile, it is more vulnerable to misconduct. But let me be clear, I do not believe there is misconduct today. My point is that the system is more vulnerable to it. This is the case for acting to replace LIBOR. Progress – what have we done in the past year? Already by last summer working groups in the United States, the United Kingdom and Japan had chosen their alternatives to LIBOR in the form of SOFR, SONIA and TONA. In October, Switzerland’s National Working Group recommended SARON as alternative to Swiss franc LIBOR. The Federal Reserve Bank of New York began publishing SOFR on 3 April. Futures contracts were offered by CME Group one month later, and LCH has just begun offering clearing of overnight index swaps (OIS) and basis swaps based on SOFR. Although these markets will take time to develop fully, SOFR futures are off to a faster start than the start to eurodollar futures. On average, there is already about US$5 billion in daily volume of trading, with open interest recently reaching over 12 thousand contracts. The first SARON transactions took place on a bilateral basis in April 2017. In autumn 2017, LCH and Eurex started to offer clearing of SARON-referencing swaps. While notional volumes are still small, growth in transaction numbers is encouraging, and a valuable pre-requisite for transition. SONIA has been actively used for many years, but in April this year the Bank of England began publishing a reformed and strengthened SONIA. It is now supported by an average of 370 transactions per day, compared with 80 before the reform. By comparison, the average daily count of deposit transactions that would potentially qualify as inputs to six month LIBOR – the most commonly used of the sterling LIBOR rates – was just 2 in the past 6 months. LIBOR could not achieve the same robustness as SONIA even if the LIBOR panels included all banks in the market. SONIA, unlike LIBOR, does not use, and has no reliance on submissions based on expert judgement. Both ICE and the LSE now offer trading in SONIA futures contracts. And at the end of June, SONIA-referencing Overnight Index Swaps (OIS) had an 18% share of the overall cleared sterling interest rate swaps market on a duration adjusted basis, up from 14% in March, and 11% a year ago. In purely notional terms, an average of £5.5 trillion of SONIA cleared OTC derivatives were transacted in each of the past 3 months, up from £1.5 trillion a year earlier. Some of this reflects hedging against expectations of policy rate changes. But the increase is also at the long-end of the market, where the SONIA share was previously negligible. Also in June, the European Investment Bank (EIB) issued a £1 billion SONIA-linked bond – the first SONIA floating rate note since 2010. It was significantly oversubscribed. The Working Groups that chose the preferred RFRs here in the United Kingdom, in the United States, and in Switzerland, have expanded their mandates and membership to focus on transition. Japanese authorities are also finalising their plans to bring together market participants to discuss transition to TONA, where appropriate. The sterling group working on transition to SONIA now directly involves over 100 firms and trade associations across its central Working Group, sub-groups and other fora. The membership of the Group has been expanded to buy-side and non-financial firms. This mandate covers not only derivatives markets, but also cash markets. Sub-groups have been launched to consider transition issues in the bond markets, syndicated loan markets, and for pensions and insurance firms. In autumn last year, the European Central Bank (ECB), European Securities and Markets Authority (ESMA), European Commission and Belgian Financial Services and Markets Authority announced the launch of a similar working group to identify and encourage adoption of an overnight risk-free rate. The ECB’s Governing Council further announced it would begin publication in 2019 of an overnight euro rate – called ESTER – a sister to SONIA – based on wholesale unsecured overnight borrowing transaction data collected by the eurosystem. ESTER is one of 3 candidates that could be chosen by the euro RFR Working Group as its preferred rate. The consultation to inform this choice closes tomorrow. This work is motivated in the main by needing to have robust alternatives to Euribor and EONIA, but it is helpful in the context of the less used Euro LIBOR too. Once this euro RFR is in place, all 5 of the remaining LIBOR currencies will have a robust RFR alternative. There has also been important progress on amending contractual documentation to reduce the risks of disruption or contract frustration where contracts do reference LIBOR. There has hitherto been too much complacency about how these contracts would operate at the point LIBOR disappears. The Association for Financial Markets in Europe (AFME) has produced suggested documentation for securitisations, and the Loan Market Association (LMA) has done the same for syndicated loans, in conjunction with the Sterling RFR Working Group. Similar work is being undertaken in the Working Group’s Bond Market sub-group for floating rate bonds. Today, ISDA is launching a consultation on how to make derivatives contracts more robust to IBOR discontinuation. For the reasons set out in the FSB’s statement, this consultation rightly points to the overnight RFRs identified by the various Working Groups as the foundation for a fall back rate in these contracts. It also addresses the question of how a fair and appropriate spread would be added to those RFRs to capture the term credit premium within IBOR rates. The FSB statement reflects the collective determination of authorities across the globe. In addition to that statement, and ISDA's consultation, stakeholders in LIBOR will also want to take careful note of Chris Giancarlo and fellow Commissioners' remarks at the CFTC's Market Risk Advisory Committee this afternoon. In sum, across all the LIBOR currencies, important and encouraging progress has been made. But it is still early days. As the Bank of England’s Financial Policy Committee has noted, the amount of contracts referencing LIBOR but maturing beyond end-2021 continues to grow. Approximately US$170 trillion of the interest rate swap contracts cleared by LCH reference LIBOR, and a little under one-third of these, by notional, mature after end-2021. While robust fall back clauses added to these contracts through ISDA protocols can reduce risks of contract frustration, a smoother path to transition will be the gradual variation or replacement of these contracts, perhaps through multilateral compression and conversion exercises. This is something that both the sterling RFR Working Group and the US Alternative Reference Rates Committee (ARRC) are now beginning to consider. Cash markets are still at a very early stage in transition. While the EIB’s SONIA-referencing bond issue has shown the feasibility of issuing a floating rate note referencing SONIA, we understand that some firms require system changes to manage bonds and loans where interest payments are calculated at the end of the reference period. Some parts of bond, loan and securitisation markets have economic or operational preferences for 'forward-looking' term rates. Because current processes in these markets assume such forward-looking term rates, some participants are uncertain about how overnight RFRs would fit in their business models. This leaves them unclear how transition away from LIBOR will happen. That highlights an important next step for transition, the exploration of the potential to create forward-looking term rates based on the RFRs. The sterling Risk Free Rate Working Group will next week launch a landmark consultation on this. Switzerland’s National Working Group is also discussing options for term rates based on SARON. And the ARRC in the United States has included the production of this kind of term rate as the final step in its paced transition plan. There is substantial consensus that the largest part of the market currently relying on LIBOR – that is the bulk of interest rate derivatives – does not need term rates. This part of the market is focused on hedging the general level of interest rates rather than term bank credit risk. It is already able to operate from a risk management perspective with the overnight risk-free rates, compounded where appropriate. Because term rates are not needed for the bulk of the derivatives market, and because the overnight RFRs are likely to be the most robust interest rate benchmarks available – since they are firmly grounded in transactions – we expect that liquidity in interest rate derivative markets will in future be OIS-based, ie, directly linked to the overnight RFRs. It is probable that with future liquidity in swaps and futures centred on these overnight RFRs, so that spreads are tightest and hedges cheapest in these RFR-based derivatives, there will be powerful incentives for other instruments, including bonds and securitisations, also to reference the overnight RFRs. But, as I noted, we also hear demand in cash markets for forward-looking term rates, perhaps especially in respect of smaller and medium-sized issuers, and in syndicated loan markets, where parties may decide that knowing coupon or interest payments in advance is more important to them than a few basis points in spread. Hence our support for the development of forward-looking term rates derived from the RFRs. The FSB statement sets out the consensus view that for derivatives markets which can no longer rely on an IBOR, the right choice, whether for transition or for fall back clauses, is, in most cases, the overnight RFRs. Any other choice would risk moving the bulk of current exposures referencing term IBOR benchmarks that are not sufficiently anchored in transactions to alternative term reference rates that may also suffer from thin underlying markets. This would not be effective in reducing risks and vulnerabilities in the financial system. 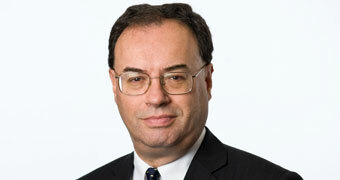 The FSB recognises, however, that there is a case for use of forward-looking term rates, particularly in cash markets. There is potential to create them on a stronger footing than LIBOR if they are anchored in liquid RFR-swaps or futures markets with healthy volumes of transactions and actionable quotes. This is the context for the sterling Working Group’s forthcoming consultation on term SONIA reference rates. The consultation will seek views on a number of practical ways to develop term rates and I encourage market participants to work towards this objective. Once available, these term rates can play an important role in facilitating LIBOR transition, particularly in loan and debt capital markets. It is quite feasible that we will in future see 2 centres of gravity in interest rate reference rates – the largest one, used in the bulk of interest rate derivatives, will likely be around overnight RFRs. But a segment of cash markets, and perhaps a small part of the derivatives market which directly hedges cash market instruments, may prefer term rates. Where the term rate also has the overnight RFR as its core, this will facilitate hedging with minimal basis risk. Those for whom forward-looking term rates are not necessary or desirable, should not wait for their arrival. But the work to develop new forward-looking RFR-derived term rates could be a useful facilitator of transition in cash markets. How do we transition to a world without LIBOR? Fall back language to support contract continuity or enable conversion of contracts if LIBOR ceases is an essential safety net – a 'seat belt' in case of a crash when LIBOR reaches the end of the road. But fall backs are not designed as, and should not be relied upon, as the primary mechanism for transition. The wise driver steers a course to avoid a crash rather than relying on a seatbelt. That means moving to contracts which do not rely on LIBOR and will not switch reference rates at an unpredictable time. The smoothest and best means for this transition is to start moving away from LIBOR in new contracts. The signs of growing liquidity in SONIA markets, and the publication and growth of markets in SOFR and SARON mean real alternatives are available. It will also be important to look for ways of reducing exposure to LIBOR in legacy contracts, where practicable. This might be through multilateral compression and conversion exercises in derivative markets, or when loan contracts come up for renewal, renegotiation or roll-over, taking the opportunity to move from LIBOR to alternative benchmarks. Those who do have practicable ways of converting their contracts from LIBOR to other reference rates, or at least adding fall backs into those contracts, should be able to identify a transition path – even if it is one with organisational, operational and other challenges. What about where it is impractical to convert? For example, bonds with hundreds of holders, where unanimous or majority consent is required to change the terms of bonds. It is easy to see why there is some hope that at least some panel banks could be persuaded to continue to contribute to LIBOR for a further period. We should not rely on that. Nor at this stage would I rely on creating a 'synthetic' LIBOR – not reliant on bank submissions – to assist with the legacy issue. Let me explain these conclusions. Can LIBOR continue on the current basis? Hoping for continued panel bank submissions to LIBOR might seem like an easy way out. It is not. There are already too few transactions to support a benchmark as robust as we would like it to be. Every panel bank departing the LIBOR panels after end-2021 will make the underlying weakness of LIBOR worse. There will be fewer transactions still. It will become even less representative of an underlying market. This will – or should – add to the discomfort of those relying on the rate. Every panel bank departure will make the case for transition more compelling and more urgent. A LIBOR limping on with fewer and fewer panel banks is an unattractive prospect. LIBOR must be sufficiently representative of the economic reality it intends to measure. This is a regulatory requirement under the EU’s Benchmark Regulation, and for good reason. We do not want a repeat of the problems we previously experienced with this benchmark. One way in which the future of LIBOR could unfold is that either the administrator of LIBOR, or we, as supervisor, judges that LIBOR is no longer sufficiently representative, and so no longer satisfies the requirements of the Benchmark Regulation. While it is possible that LIBOR production would cease at this point, the Regulation does not prohibit its continued publication in this circumstance. The provisions of the Benchmark Regulation can allow for continued publication to prevent frustration or breach of legacy contacts. That would mean that for a wide range of activities, including bond issuance and new derivatives contracts, supervised firms in the European Union, including financial institutions, exchanges, trading facilities and clearing houses, could only use the LIBOR rate for legacy contracts, but not for new business. This prohibition for new business but permission for legacy may offer some comfort to those with no way of amending their contracts that reference LIBOR. But it also poses a question for those who, understandably and probably wisely, would want their contracts to fall back to an alternative interest rate benchmark at this point. The restriction on new trades would have a major impact also on the ability to manage and hedge legacy portfolios, with impacts on liquidity or even availability of pricing. I encourage those writing fall back provisions to consider this scenario carefully. Could a synthetic LIBOR help? One obvious question is whether LIBOR could be created by a means other than panel bank submission, for example by adding appropriate term credit spreads to overnight RFRs. It is difficult, however, to see how the term credit premia that LIBOR seeks to measure, but for which the active underlying transactions from which it can be measured are so few, can be obtained from other sources. We have not seen a compelling answer to how one-month, three-month, six-month and twelve-month term bank credit spreads can be reliably measured on a dynamic and daily basis. If this could be accomplished, it would probably already have been done. For this reason, we do not see synthetic solutions as a part of a long-term solution to evolving LIBOR. Would a 'synthetic LIBOR', assembled from a Risk Free Rate and a reasonable credit spread be better than nothing for otherwise stranded legacy contracts? This is a similar idea, in substance, to the fall back ideas that ISDA are setting out in their consultation today. I said in March that we did not rule it out in principle. The analysis and feedback we have received so far is that even with the more limited ambition – a lifebuoy for legacy rather than a long-term future for LIBOR – it does not offer an easy solution. As in the ISDA consultation, the term credit spread would almost certainly need to be fixed rather than dynamic because of the lack of market to measure. There is also the issue of how to address the term element of the risk-free interest rate. A calculation based on compounding of the realised overnight rate over the relevant term can work as a fall back to LIBOR in derivatives contracts in which arrangements for calculation of payment can also be amended. It is not clear how it could work more generally as a synthetic LIBOR. Many in cash markets would not be able to adjust their contracts or systems to accommodate this type of payment structure. These are formidable difficulties. The administrator of the benchmark – in this case ICE Benchmark Administration (IBA) – holds responsibility for changing input data or methodology where existing input data no longer adequately represents economic reality, consulting with users and stakeholders. It must maintain clear published arrangements that describe whether and how the benchmark is to be calculated when the quantity or quality of input data falls short. LIBOR users therefore need to ensure they are aware of IBA’s plans in this circumstance – its reduced submission policy. IBA has been clear to us that these arrangements are not a long-term plan to publish LIBOR for legacy users in the absence of panel bank submissions. It should be clear to current LIBOR users that they must not rest any hopes in a synthetic solution to continuing LIBOR publication. The absence of ways to remedy the current underlying weakness in LIBOR – the lack of transactions, the unattractive prospect of LIBOR limping on with fewer panel banks, and the significant problems associated with a synthetic LIBOR, all lead to the same conclusion. The best option is actively to transition to alternative benchmarks. The most effective way to avoid LIBOR-related risk is not to write LIBOR-referencing business. This is why the work of the RFR Working Groups here and in other jurisdictions is so important. It aims to agree and make available conventions and standards that can help achieve our objective or ensuring financing and risk management are not interrupted when LIBOR disappears. Authorities will continue to support and facilitate that work. But ultimately it is the responsibility of each individual firm to address the risks which it faces. Firms that we supervise will need to be able to demonstrate to FCA supervisors and their PRA counterparts that they have plans in place to mitigate the risks, and to reduce dependencies on LIBOR. Bill Dudley noted in May that Federal Reserve Bank supervisors would also be seeking to ensure that firms understand their LIBOR exposures and risks and are making commensurate efforts to address them. Some firms will also have obligations to disclose and consider risks to investors when they sell LIBOR-related instruments. Issuers of LIBOR-related listed securities, for example, owe duties of disclosure under prospectus requirements, and need to ensure these have been fulfilled. Banks and investment firms also need to consider the design and risks of any new LIBOR-referencing instruments as part of their product governance obligations, considering and describing the impact of LIBOR discontinuation on those instruments. And they will need to provide all appropriate information to all distributors of those financial instruments. Those acting on behalf of investors will need to ensure they have considered and understand what will happen to LIBOR-referencing instruments in the event of LIBOR discontinuation. Investment advisors and portfolio managers may need to be able to show that they have considered whether such investments remain suitable for a particular client or portfolio if there is no clear and appropriate plan on what will happen in the event of discontinuation. Brokers or platforms offering non-advised services need to disclose to clients in an understandable way information on the key features and risks of financial instruments they make available. For an instrument relying on LIBOR beyond end-2021, the risk of discontinuation will need to be covered. Well-prepared firms know this already. We are already seeing the necessary changes in prospectuses. We are seeing use of new fall back language in contracts. But surveys and feedback suggest too many firms are not yet adequately aware. They are not yet making or planning the necessary investments in preparing systems, processes and business practices for transition. The biggest obstacle to a smooth transition is inertia – a hope that LIBOR will continue, or that work on transition can be delayed or ignored. Misplaced confidence is a risk to financial stability as well as to individual firms. But with investment in transition, we have the prospect of a future world in which widely-used interest rate benchmarks have the robustness previously found lacking in some IBORs. This is thanks to the collective work of many market participants and the strong consensus that has emerged in that work. Markets have worked successfully on firmly establishing overnight RFRs. This will provide a strong foundation for the future world. Important work on complementary new term rates based on those RFRs is also underway. I would like to end by expressing my gratitude to the many firms and associations who are already committing their time and expertise to these cross-market efforts. I encourage those who have not yet done so to engage in the transition work, and the various consultations underway. And for firms who are not yet aware, not yet engaged, and without plans to address their LIBOR-related dependencies, I warn you again of the risks.